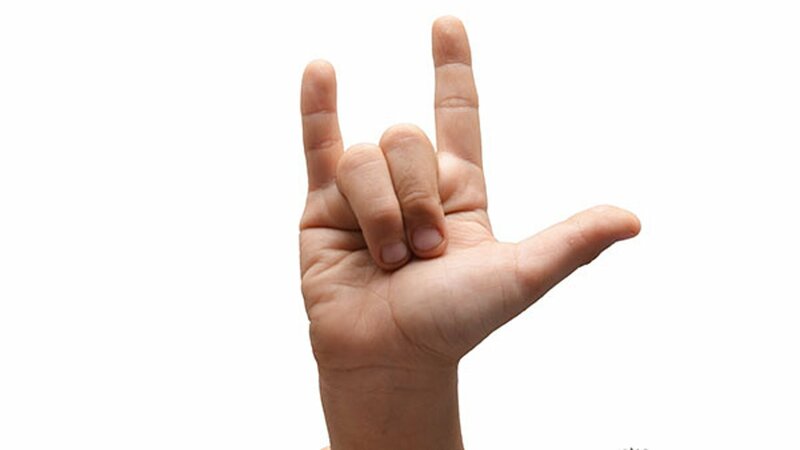 Rock-and-roll fans for decades have used the sign language gesture for "I love you" to symbol "rock on." But KISS frontman Gene Simmons claims he used it first. The rocker has filed an application to trademark the hand gesture, in which the index and pinky fingers are extended, the middle and ring finger are tucked down toward the palm and the thumb is extended. Simmons claims he first used the gesture commercially in November of 1974 during the KISS "Hotter Than Hell" tour. Simmons may not realize that John Lennon also used the gesture on the cover of the Beatles "Yellow Submarine/Eleanor Rigby record in 1966. Not to mention, American Sign Language first emerged in 1817. Simmons may love to rock, but owning the symbol for it might be difficult to prove.